AirFlow Breeze 4'' x 10'' Register Booster Fan - Airflow Technology, Inc. 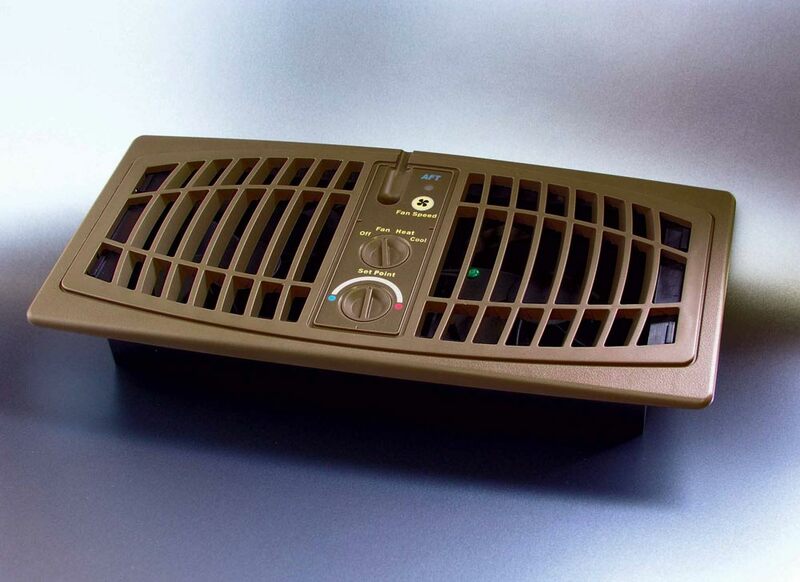 The AirFlow Breeze Register Booster Fan works with your existing central heating and cooling system, drawing additional air to the problem areas in your home. 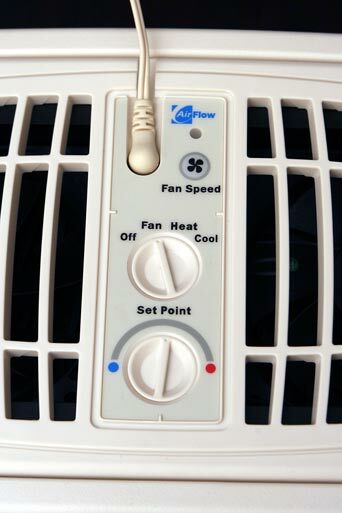 The AirFlow Breeze Register Booster Fan keeps a room comfortable by increasing the flow of warm or cool air with thermostat-controlled fans. 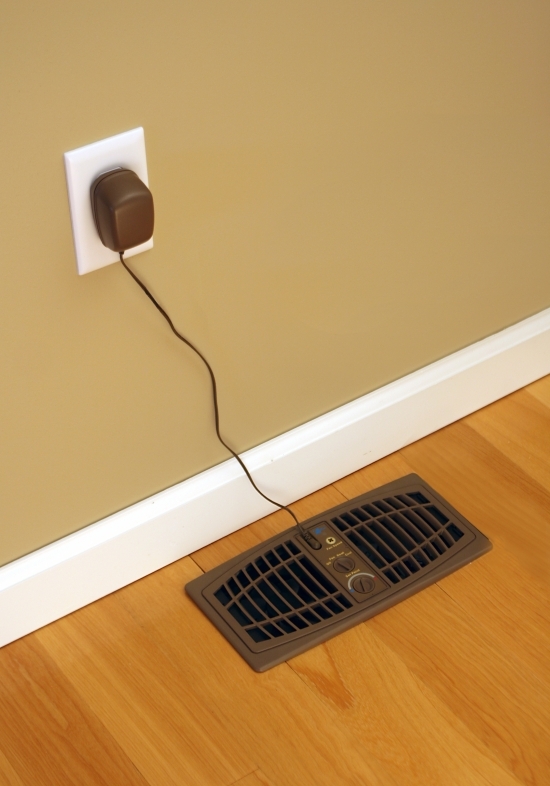 Easily replaces your register vent cover. Once you set your target comfort level, the built-in temperature sensor takes over. 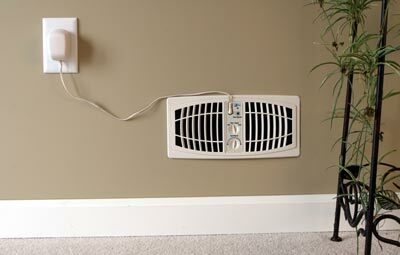 It will direct the powerful, yet quiet fan to pull extra warm or cool air out of weak registers, which increases air flow to rooms that are difficult to keep at a comfortable temperature. Delivers the Comfort You Deserve! 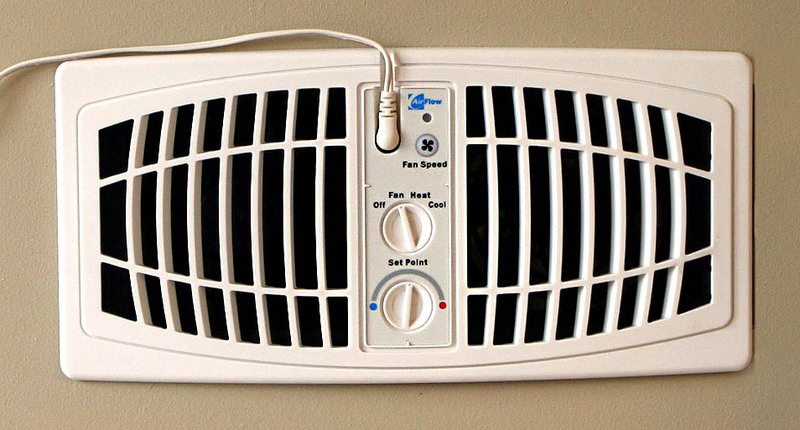 with Outside Dimensions of W 5.5" x L 11.5"
The AirFlow Breeze Register Booster Fan provides an affordable and easy way to have a comfortable room temperature anywhere in your home. The AirFlow Breeze Ultra Register Booster Fan can be used as a traditional register booster fan or as a room-to-room, level-to-level air distribution unit.